‘Empress of Mars’ was written by Mark Gatiss. 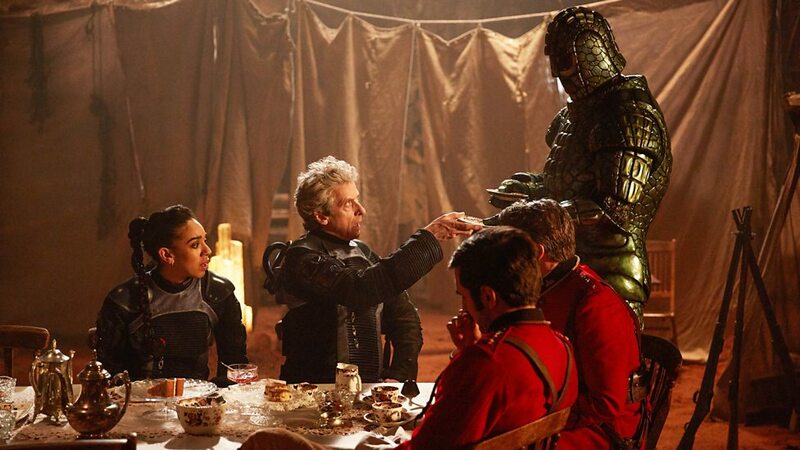 I liked ‘Empress of Mars’. Something here doesn’t add up. 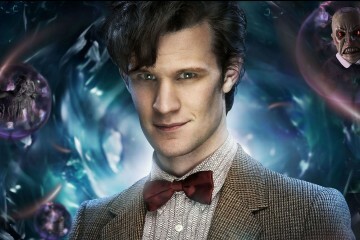 It’s not that I have explicit, particular issues with his writing (unlike Steven Moffat). It’s just that a lot of the episodes of both Doctor Who and Sherlock he writes drive me up the wall. Not every one of those episodes is a ‘Robot of Sherwood’ or ‘The Final Problem’ level disaster, admittedly; still, it baffles me somewhat that I enjoyed this week’s episode so much. That slight confusion – for me, rather than any reader – out the way, it is rather easy to see why it was such a good episode. ‘Empress’ had a bit of everything. The premise oozed potential; Victorians on Mars facing off against the Ice Warriors. 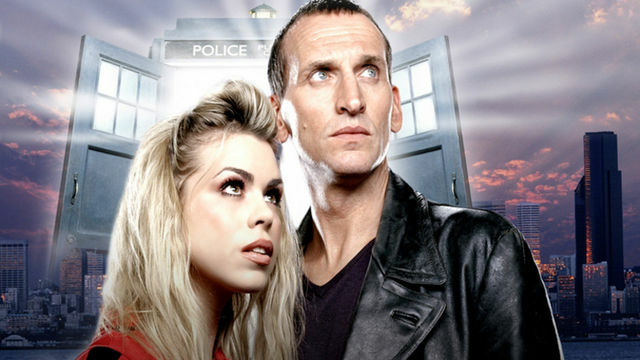 Not only did it just sound fun, but it threw together three parts that usually make for good Who: It was a period piece, but set on a foreign planet, while bringing back a classic Who foe (last seen in series 8’s ‘Cold War’). 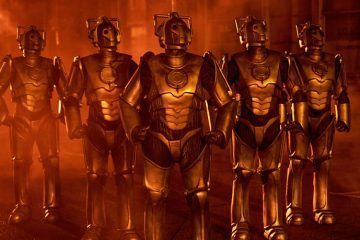 There wasn’t much of Mars to show – given the inherent narrative that this was present-day Mars, millennia after the heyday of the Ice Warriors – but the episode delivered the simplistic value of the other two elements. The Ice Queen was a menacing, yet sympathetic character, while it was never not fun seeing the Victorian bullets cannoning pointlessly off Ice Warrior armour. And of course, that they were Victorian allowed Gatiss to slip in as much relevant dialogue as he could. The Victorianisms of their speech maybe overdid it slightly, but not enough to be damaging. What made the episode so great was that it was much more than just a battle episode. It could have been by-the-books; bring the Victorians through some Stargate-like time portal, have them discover the Ice Warriors, ding ding, fight. 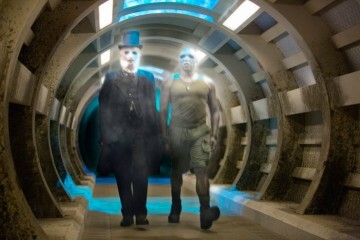 Instead, the Doctor, Bill and Nardole arrive to find the two species cooperating. In fact, the TARDIS three are the rogue party, as the Doctor finds when Catchlove holds the gun to him, not the Ice Warrior, ‘Friday’. Gradually, as the Ice Queen, and more and more Ice Warriors re-awake, it becomes something of a one-sided battle, but that battle had nuance on both sides. For the Victorians, Catchlove’s jingoist ‘Mars is part of the Empire’ approach was set against the more accommodating style of Godsacre, prepared to let the Doctor try to negotiate. For the Ice Warriors, Iraxxa, while bloodthirsty, lent herself to discussion as well as war, and Friday remaining a mediator until the end, rather than falling into rank once the fighting started. 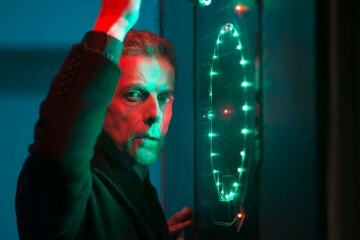 There weren’t many shocks once the initial premise was established, but that was because the episode delivered, rather than ducking interesting moments. Yes, the ending had an improbable ceasefire of sorts, but it was one that actually made a great deal of sense, coming through the character development of Godsacre and the general development of the plot, rather than through the introduction of an outside-element as a cop-out. A random downing of arms would have been dubious, but having the Victorians swear allegiance to the Ice Queen – ‘god save the Queen’, indeed – was inspired. And it was a kind-of battle episode in which death actually meant something. As aforementioned, Friday didn’t just revert to a stock character and start killing Victorians. When Iraxxa did start killing Victorians, they took it a badly as you’d expect soldiers against an enemy force would take it, rather than being carolled by the plot into some other way forward. The Doctor and Bill actively tried to avoid further deaths, rather than completely ignoring death because it killed the mood (see ‘Smile’ and others). And, most interestingly, Godsacre’s mortality was crucial to the character. Having escaped his intended death through hanging for desertion before the trip to Mars, he was a character who grew through the episode to a commanding officer who was prepared to die as a soldier, and who was prepared to kill as a solider. I might not agree with war or murder personally, but as character development it was well-executed, leading to Iraxxa’s sparing of the Victorians through his bravery. It was, therefore, a resolution that made sense, fit the character profiles of both factions, didn’t come about through a random outside element, didn’t come about through a random Doctor-inspired miracle-act, didn’t come about through the power-of-Bill (see, ‘The Lie of the Land’), and was still entertaining. It isn’t that hard after all! The location could have perhaps been a bit more interesting than just a cramped cave, but then the frugality of such a setting allowed for great visuals when needed; the awakening of the ‘Hive’ looked amazing, and the weird ‘squashed into a ball’ thing – while a bit goofy – was visually well-realised. The guest cast was pretty good too: Ferdinand Kingsley did well as Catchlove – cocky, but not too cocky – while Anthony Calf was also impressive as Godsacre. Oh, and I can’t have been the only one amused to see Ian Beattie – aka Game of Thrones’ Meryn Trant – as Jackdaw. He looks a fair bit shorter here than he does on Thrones, that’s for sure. So, following an underwhelming end to last week’s episode and the ‘Monks Trilogy’ as a whole, ‘Empress of Mars’ represented a welcome return to form. 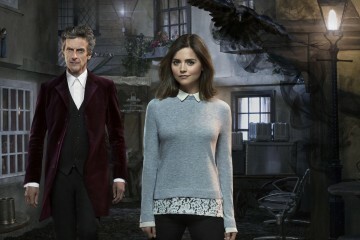 Roll on next week, the antepenultimate episode of the series, and the last before the final two-parter begins.